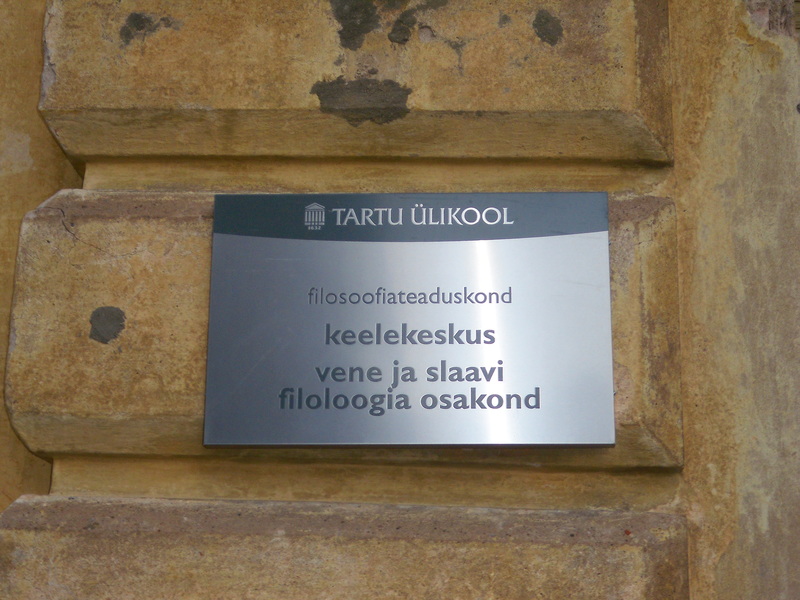 I have come to realise that, so far, I have barely talked about my actual studies at the Ülikool Tartu. Therefore I shall dedicate this entry to all my courses I am currently following. My early Monday morning class (4pm). Main content of this course is to talk about the public sector, which can roughly be defined as marketplace with less intention in profit-making. Taught by an American who claims he can only work as long as his 2 litre bottle of cola is not empty 🙂 The class is very entertaining as it is more of a seminar than a lecture. in addition, the lecturer has intense knowledge regarding fund-raising and writing grant proposals; two things I will have to do while doing my internship in Liberia. Hopefully he can help me getting a better insight into that. Approximately 20% Germans. Wednesday, 10am, located in the economics building of the university. This class is not much suitable for that particular time, as the teacher is way less entertaining and challenging than others. Most of the time he talks about the GDP per capita in the region, comparing the “old” and “new” countries or tries to explain the foreign investment trend in Estonia. The content itself is more or less interesting, yet the means of presenting those are questionable. I have passed a test two weeks ago and will have to write a short paper on the economic development of Lithuania (country was left to choose). Approximately 25& Germans attending. My hardest course. For one, I have only limited knowledge about semiotics and its background (as I am following a Master class with “experts” who studied that subject for at least 5 years already) and for two, I have to speed up after my economics class to make it in time at noon on Wednesdays (distance about 3km). The class, despite its rather complicated content, is very interesting. I learn how to work with foreign texts, such as how to translate it, using which parameter of translatability (I.e neutralization, grammatical language, time, space, context, historicalisation…) or what text operations, such as Permutatio, Repititio or Adiecto (fancy words, hu!). I am aware that this explanation of the class is rather vague, but that pretty much demonstrates my feelings towards it 😛 I have passed a test last week and will have to write a translation analysis, applying the above mentioned concepts until the week after next. 5% Germans attending (me only!). Arguable my toughest class. For several reasons. First of all, I still am puzzled about the core meaning of semiotics. 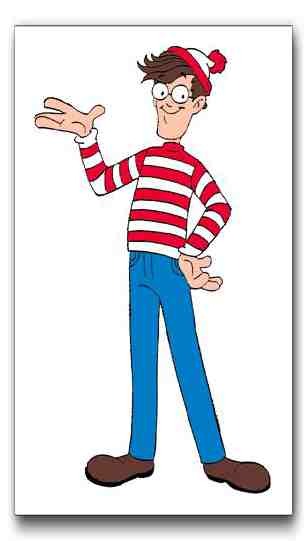 Also, I need to concentrate really hard to actually understand the guy up front, who looks a lot like Waldo. He keeps mumbling all the time and has this distinct Estonian accent when talking English which I am partially capable of speaking myself. The class itself is rather good, though I am not sure about the correctness of the title. So far, we have talked about the “Critical mass” movement, the “glam rock” music style (with special attention to David Bowie) and this week we shall watch a movie about hip hop styles. Part of the final assessment will be a short presentation about a subculture. I have not yet made up my mind, but I’d like to explain the “Christiania” culture in Copenhagen, Denmark. 10% Germans attending (me + 1!). Religion – A necessary good or evil influence on society? By far the most promising class at first when I have chosen my courses but now I am a little disappointed. Taught by a fantastic old Scot (around 65 – 70 years of age) with an original Braveheart accent about any religion or religiousness in the UK, back from the times the Kelts were present until the recent times, when the Brits were in Palestine. For the past four (!) weeks, we watched the movie “Exodus” and I am curious about the discussion to come about it. Assessment for this class will be 2 essays to which I am looking forward. 5% Germans attending (me +1!). A pain in the arse! Boring presentations, boring teachers, overloaded Powerpoint, 10am on Thursday. I don’t even want to talk about it too much now. Assessment a paper and an exam. Does not seem too difficult, but just sitting in class is bothering my mind. Not recommended. 25% Germans attending. Здравствуйте! Меня зовут Julian! Я гoворю по-русски. These and other fancy sentences are taught in the Russian class, which takes place twice a week. I like this class very much and the teacher is really competent but the late hours (4pm respectively 6pm) are sort of hampering the success, since everyone is getting more tired by the minute. I was having a test just yesterday and I think I will have passed. The written language is kind of all right, but since I want to focus more on the oral part, this shall not bother me too much. In 3 days I will travel to Moscow with a bunch of people for 4 days! Maybe I even have to apply my knowledge over there 🙂 35% Germans attending. My last class before the weekend (Thursdays, 6pm). Lectures given by a German teacher who lives and teaches in Tartu for almost 14 years now. Well that does not prevent him from using his thickest German accent, taking about German students and using German words whenever he connects two sentences (achso, naja, okay)! The content of the class is…well, it is interesting in a way that we compare Babylonian and Sumerian flood mythology, their different cosmogonies and in general, the terminology of ancient religion. According to him, the final assessment may either be an essay or an oral test in “any language you would like to use”! Despite his ability of speaking English and German, that is a very big promise! 10% Germans attending (me +1!). 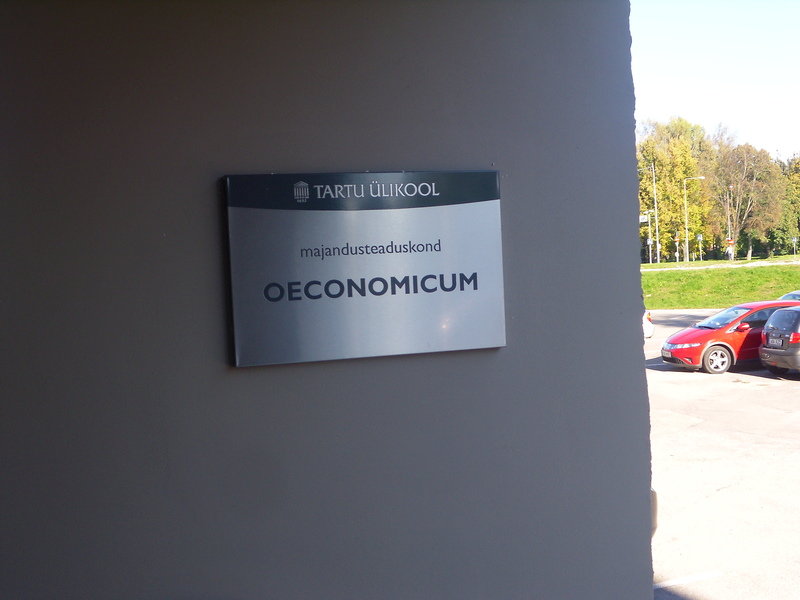 I have come to realise that, so far, I have made the right decision in having applied for the Ülikool Tartu!